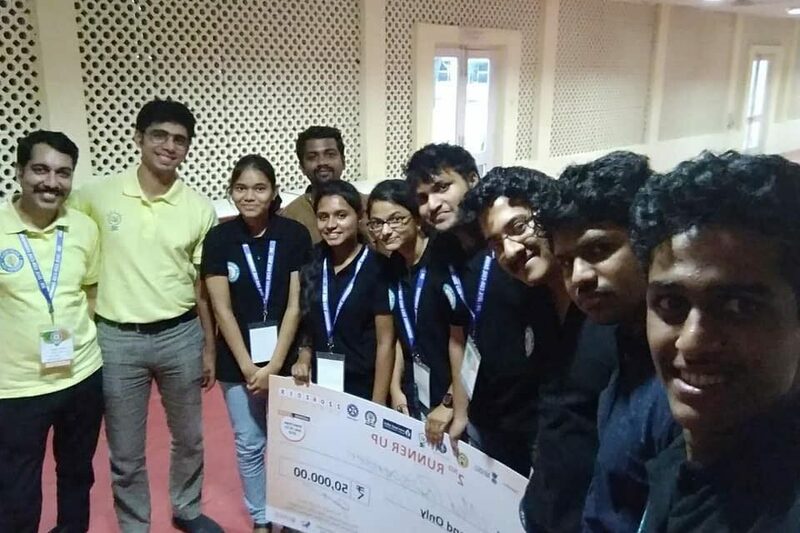 iQube brings glory by winning the 3rd place in Smart India Hackathon 2018 – Hardware Edition held at CSIR – CSIO, Chandigarh that took place from 18 to 23 June, 2018 for their innovation on Medicine Dispenser based on Adhaar QR authorisation with Medical profiling. While the innovation theme for the teams in FORGE, KCT campus, Coimbatore was Import Substitution, it was Health Care for the teams participated in CSIR – CSIO Chandigarh. 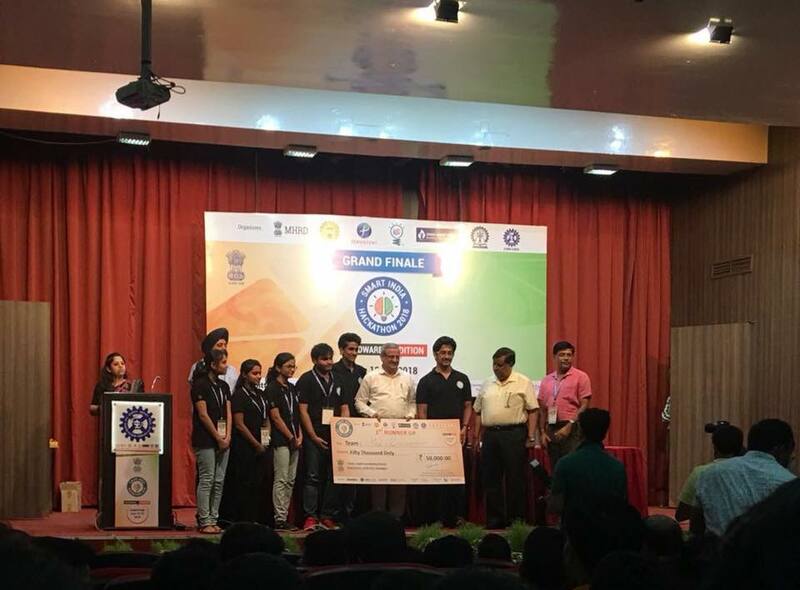 The team says, “Months of hardwork, lots of design and prototyping iterations, and finally Team we did it at Smart India Hackathon, Hardware Innovation in Medicine!” ‘In Smart India Hackathon 2017, 44,000 students participated whereas, in 2018, the number has surpassed 1 lakh’, says Union Minister for Human Resource and Development Shri. Prakash Javadekar. Also the team of interacted with him over video conference on implementing their project. 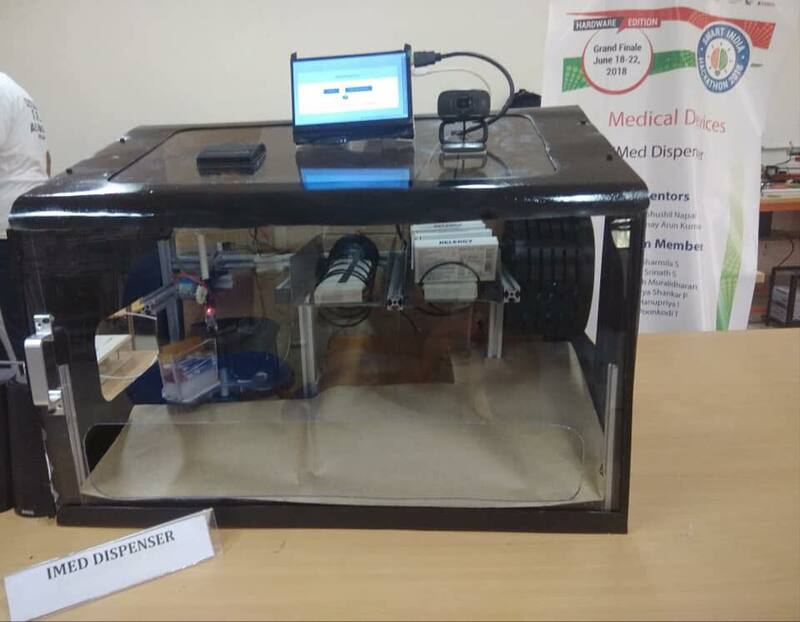 iMed Dispenser is an automated medicine dispensing machine that uses the patient’s Aadhar card to dispense the medicine. After the medicines are dispensed, the patient is notified via the Android app, and his consumption log is constantly recorded. Details such as the doctor’s prescription, medicines that he has dispensed, and the patient’s consumption are used to generate a complete medical profile, that can be used by the doctor for further consultation. It has differentiation from Over the Counter drugs and prescribed medicines and incorporates a seamless payment gateway. The whole structure is modular and it’s all plug play depending upon the vendor’s needs. We offer three modules, the vacuum operated module for single pill dispensing and Over the Counter drugs, the roller mechanism for strip dispensing and the conventional spring mechanisms for bottles and boxed medicines.